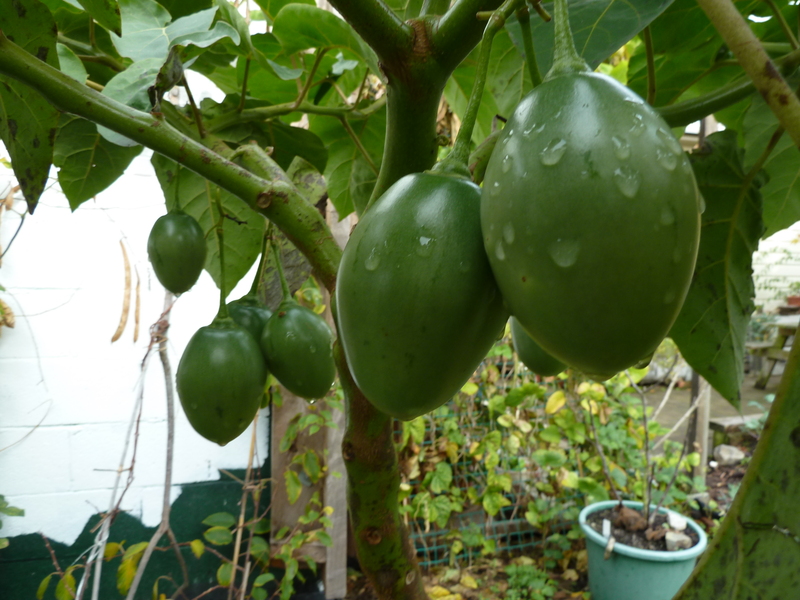 This tamarillo tree is only 2 years on from a small cutting. 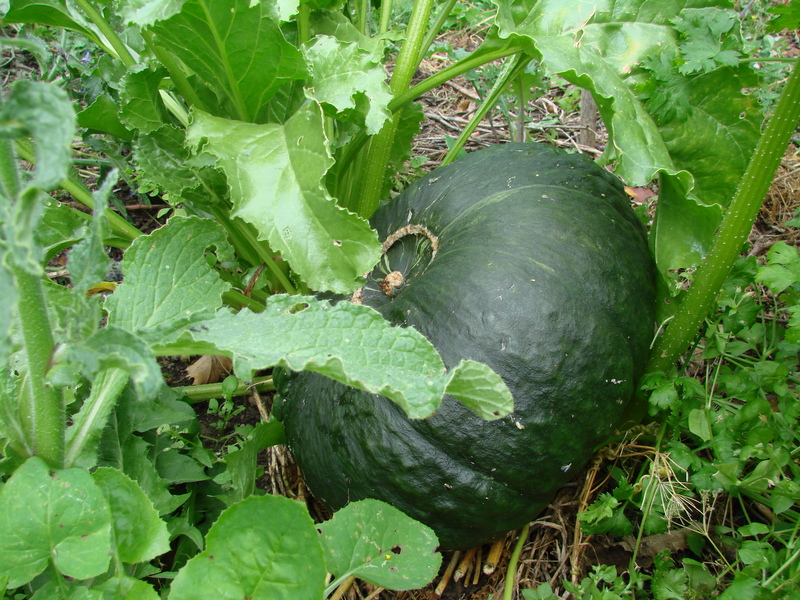 They are very quick to grow in Dunedin’s mild climate. 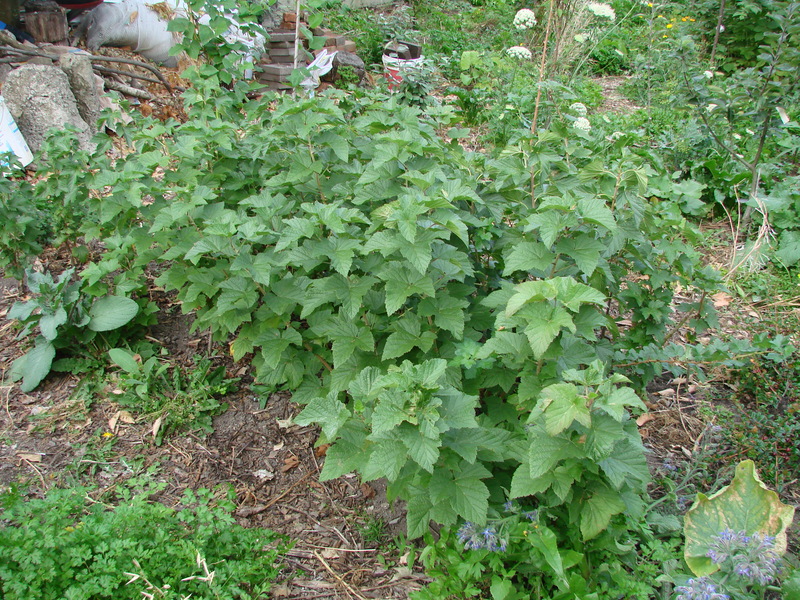 Light frost will ‘prune’ them a little, only to re-sprout strongly the following spring. Prolonged hard frost (which we don’t really get here on the coast) will kill them. 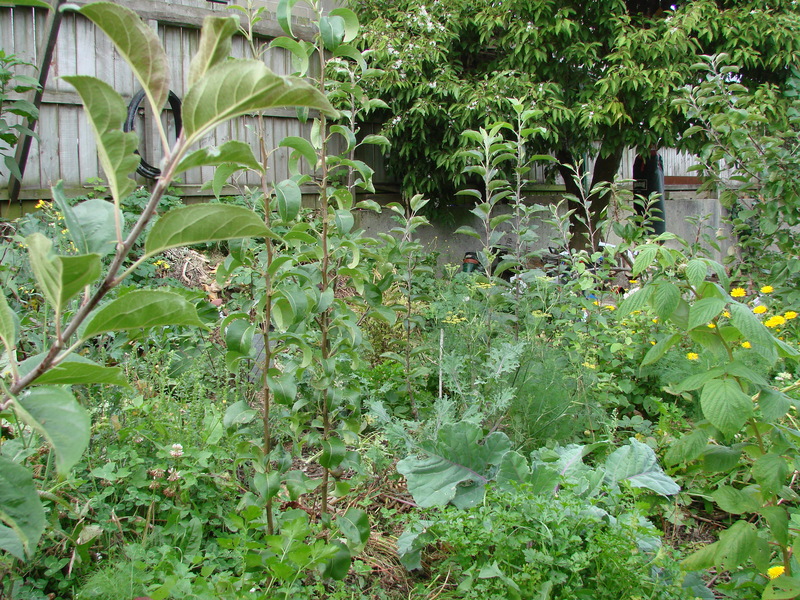 Ripe fruit is not unheard of in Dunedin but they need a really sheltered position. What they do not like (as we learned after last week’s snow (28 may)) is snow on their wide welcoming leaves, which will snap the branches! 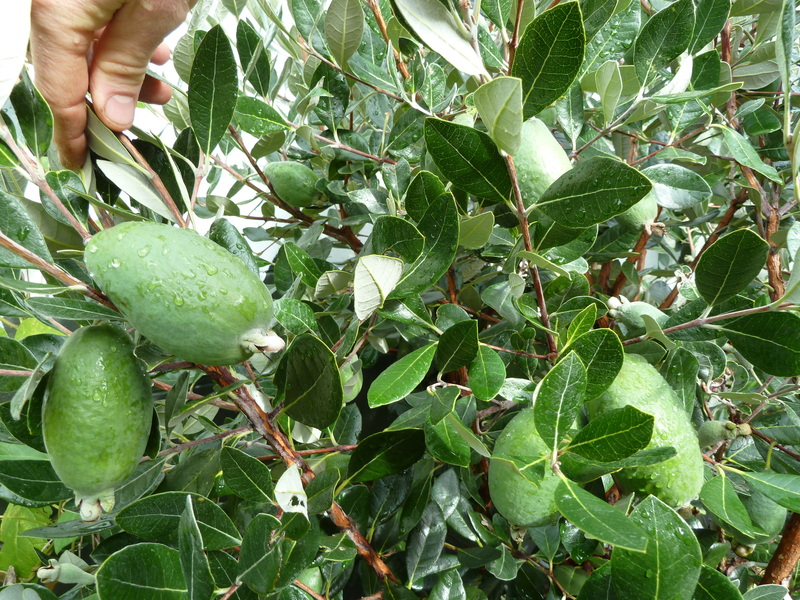 No surprises there….but if you can keep off the snow the fruit will hang around and hopefully ripen late winter. I will keep you posted on how ours are now ripening indoors. 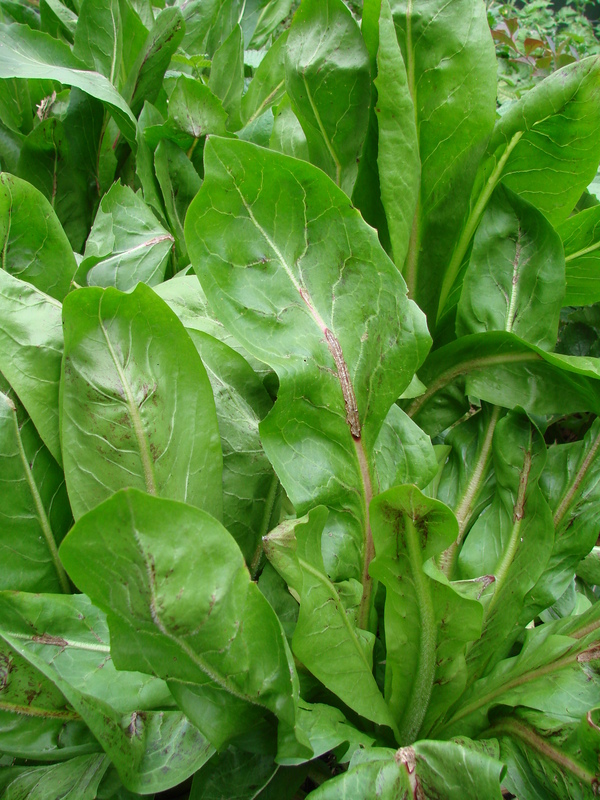 Chicory ‘Red Treviso’ is an amazing perennial plant, we use it stir-fried roots and all or the leaves in salads and smoothies. 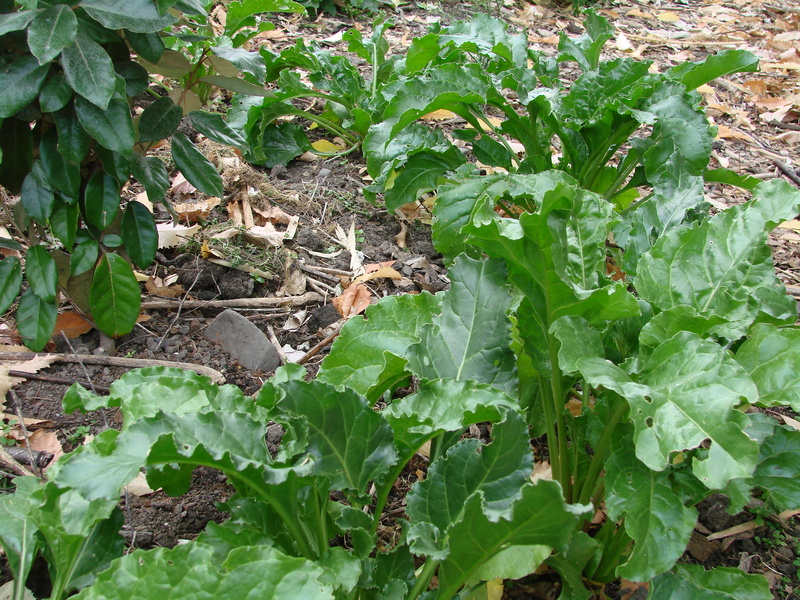 Re-sprouts strongly after the whole plant is sliced off. In cool weather it takes on a deep red colour. Chicory, boysenberry cane tips, strawberries and a young blueberry. 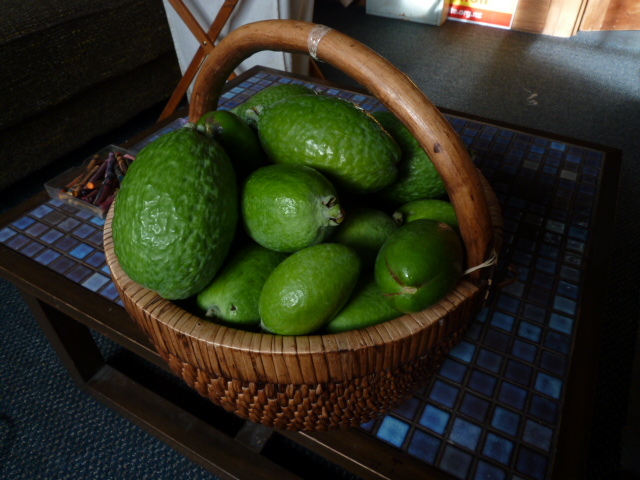 250g monster and the rest of the day’s feijoa harvest. 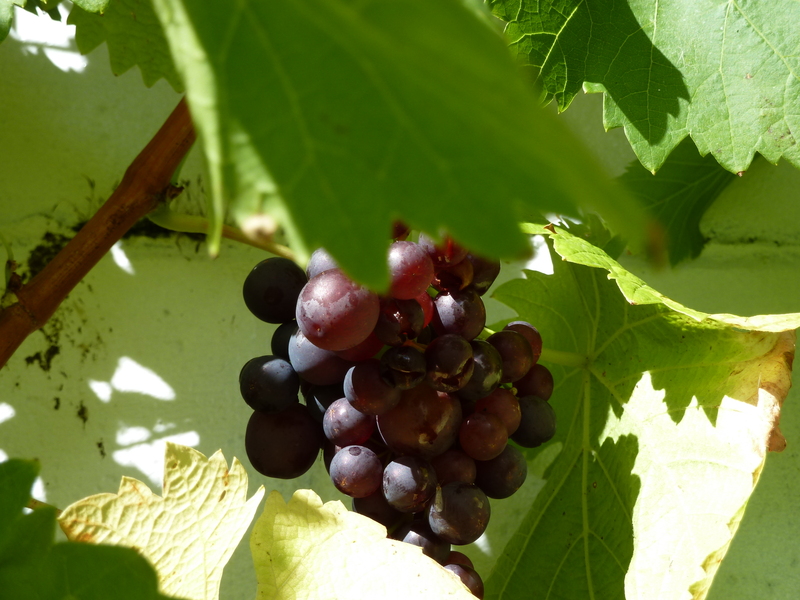 Grapes, possibly ‘Albany surprise’ ripening against a sunny wall. The Silver-eyes (Wax-eyes) and my paintbrush did a good job of pollinating the feijoas this year. If you don’t see small birds in there chasing the nectar then facilitate reproduction yourself with a fine brush. Runner beans and a young grapevine. Trellised boysenberry. A favourite of ours and the birds – keeping it in the 2 dimensions makes it easy to net and harvest. Fan-trained peach ‘Blackboy’ (left), grape, beans. Gooseberry ‘Pax’ and blueberries in front. Apple ‘Tydeman’s late orange’ with pumpkin running underneath. We have about 12 varieties of apple, mostly on quite dwarfing m26 rootstock. 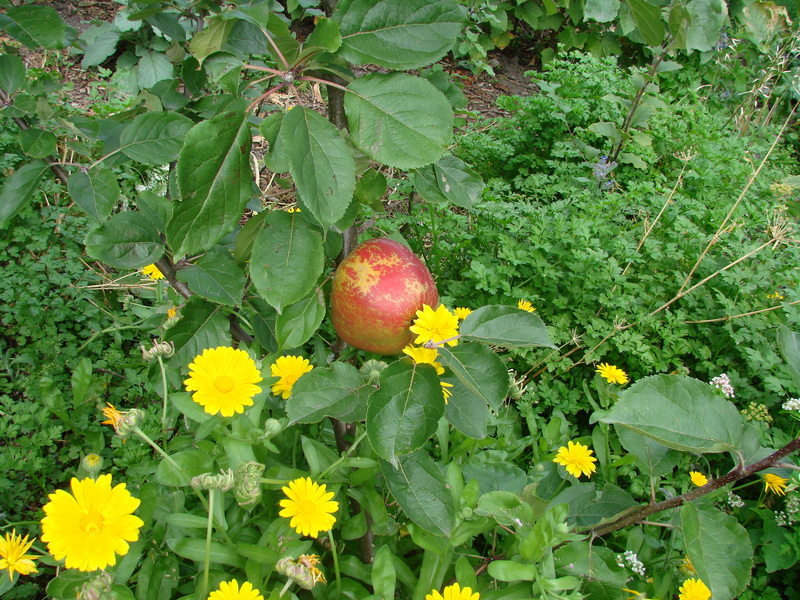 This way you can create a grove of smaller trees, with the apples ripening at different times and having quite diverse tastes and uses. 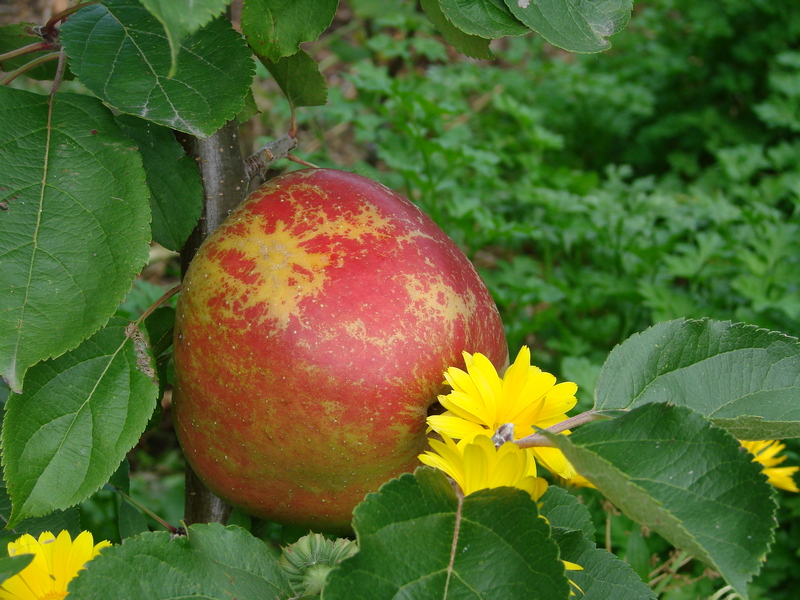 The m26 rootstock is best suited to fertile garden soil, so if you have heavy soil go for at least the more vigorous m106 (about a typical orchard size) or if you have room, m793 (almost as vigorous as an average seedling apple). 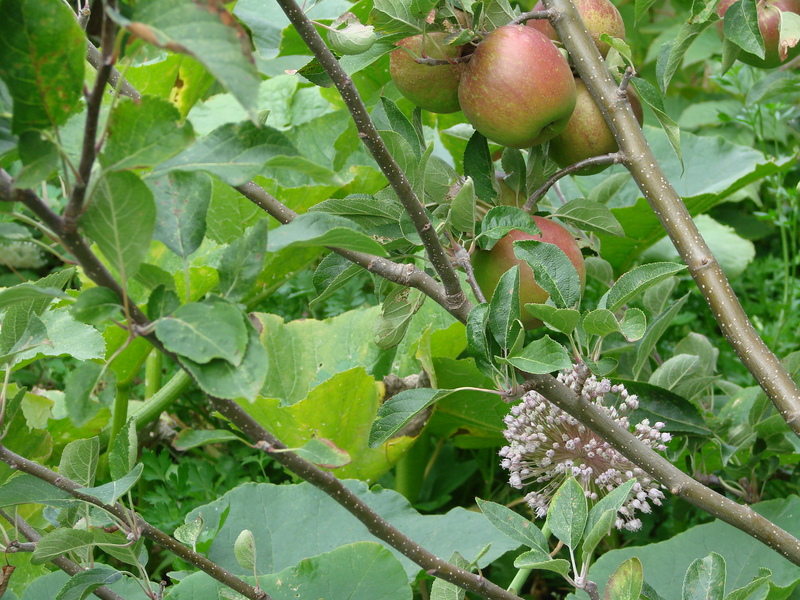 Always ask what the rootstock is before you buy, as many fruit trees are unlabelled or simply say ‘dwarf’ or ‘semi-dwarf’, which doesn’t mean too much as even a large orchard tree is likely a dwarf compared to a seedling. Our selections are from Habitate Heritage Fruit Nursery (formerly Sutherland Nursery, see links page), organically grown heritage and disease resistant varieties known to thrive in the south of the south. Sea beet surround an Elaeagnus x ebbingei. 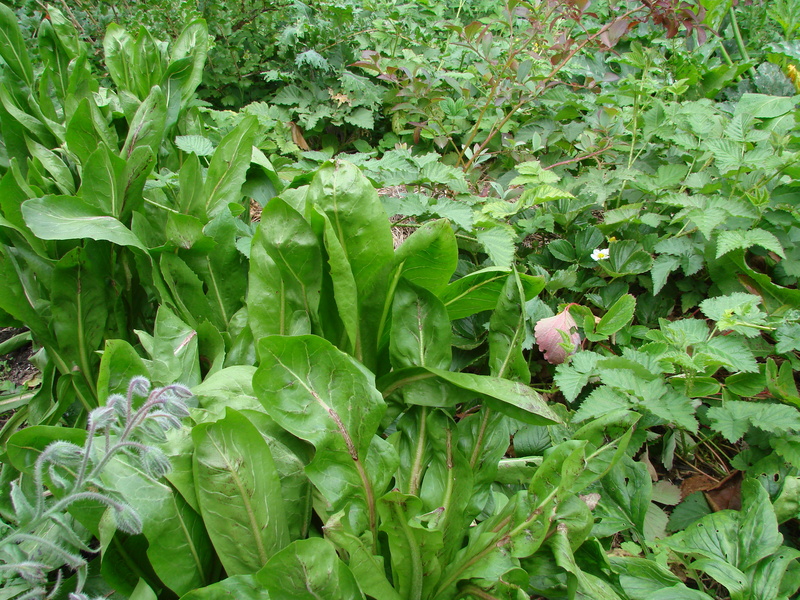 Sea beet is a great fast growing perennial we are introducing into our ‘human pasture’. 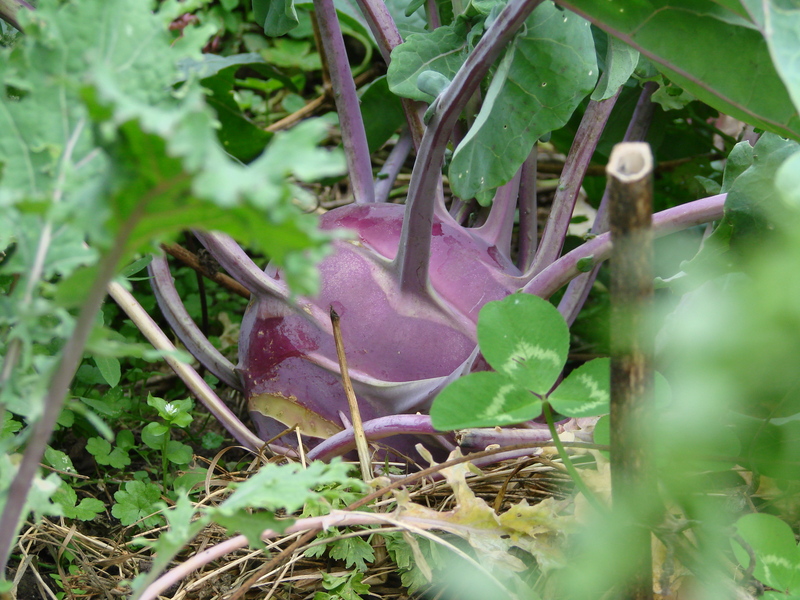 Best cooked in our experience (like silverbeet it contains a decent amount of oxalic acid). Elaeagnus is a genus of plants of which many bear abundant edible fruit. Elaeagnus x ebbingei is commonly sold as a fast growing hedge plant, unfortunately I can’t track down any other species or ebbingei’s parents (macrophylla x pungens) which may help with pollination. Italian parsley is great as a companion for chopping and dropping around trees as you need. Let them seed and witness all the chest-high insect diversity. 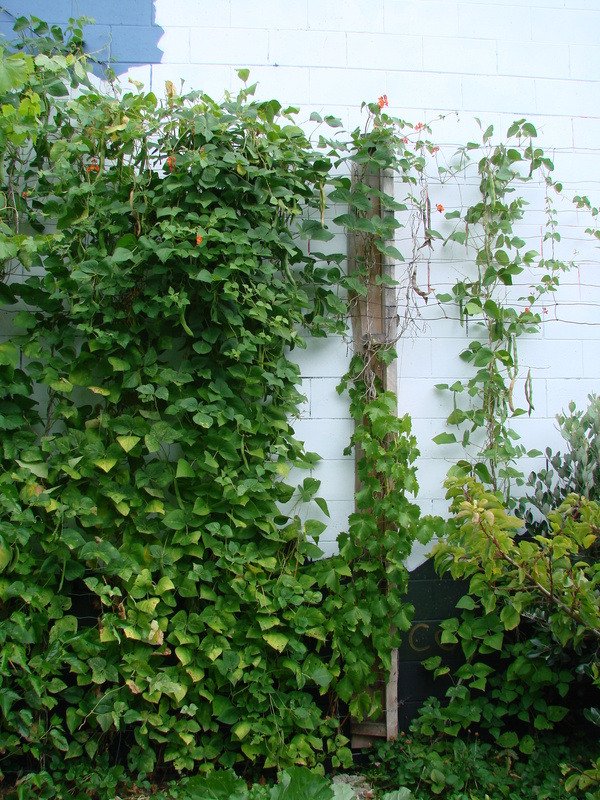 Climbing beans can make a great living wall. 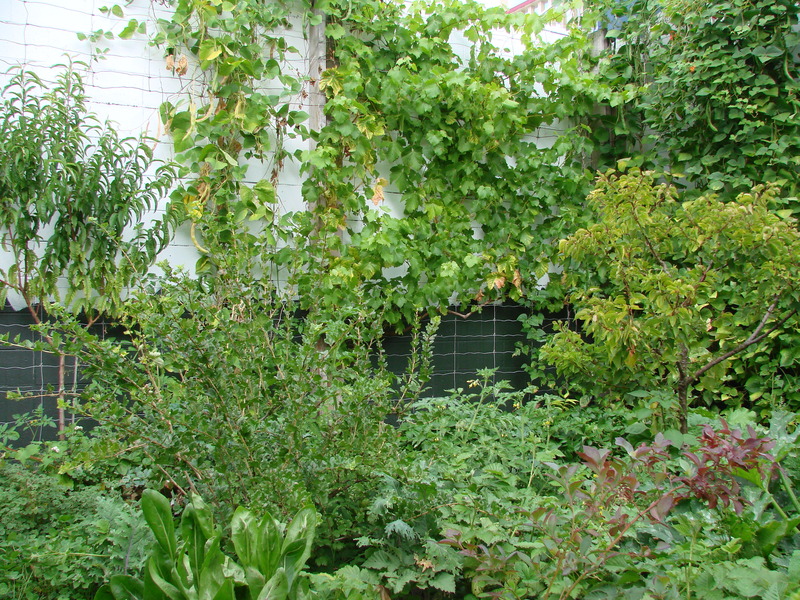 Consider using a couple of square metres to multiply plants for your own system and friends. 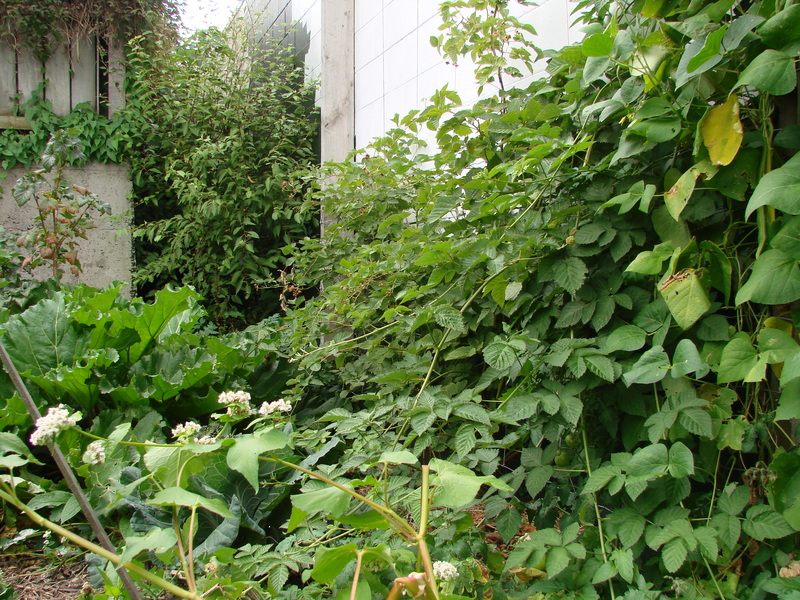 This area shown houses 48 hardwood cuttings; worcesterberry, white currant and 3 varieties of blackcurrant. These will be dug up in winter, I can keep a couple – the rest to a good home! Growing open-ground (as opposed to pots) cuttings and seedlings enables much healthier and vigorous root development while decreasing time spent watering and fertigating. If you can, plant cuttings directly where they are to live on. As with the berries, you can easily create a little fruit tree nursery. This is especially useful if you need lots of trees and want to save money or if you wish to reproduce that awesome pear at your mum and dads’ that you don’t know the name of. 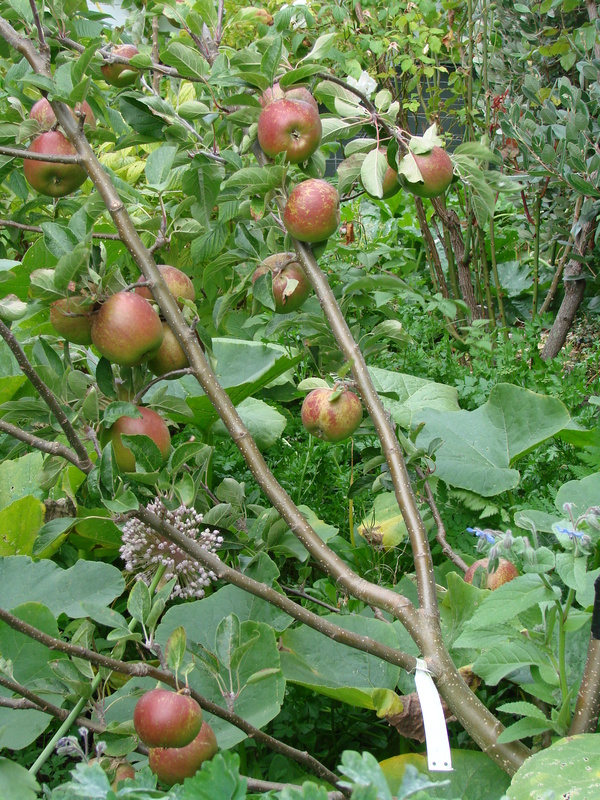 Shown here we have apple rootstock m26/m106 (2 options for grafting apples) and quince c rootstock (one option for grafting pears and quince). 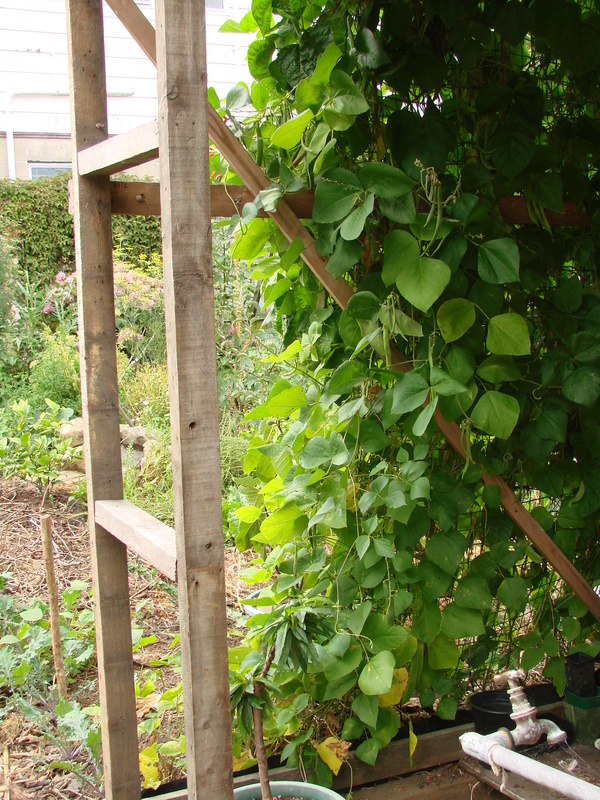 If you can open a can of beans you can graft….www.sutherlandnursery.co.nz is holding a grafting workshop in September, please register by June 10 via their events page. Pumpkin ‘Marina di Chioggia’ with sea beet, borage, puha, parsley, dandelion and kale.